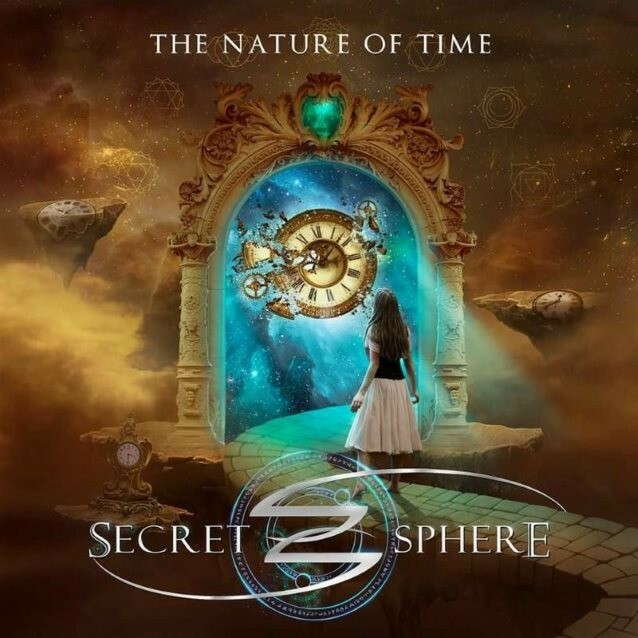 It's hard to pigeonhole Secret Sphere as they have evolved greatly from their beginnings as a Symphonic Power Metal band. One of the finest groups to emerge from Italy, their sound has developed towards a more Progressive direction with each album, while they possess the kind of melodies and powerful choruses that most AOR bands would kill for. Formed by guitarist Aldo Lonobile in 1997, original singer Robert Messina's departure following their 2010 'Archetype' album led to the addition of former Vision Divine vocalist extraordinaire Michele Luppi (also, of course, currently living the dream while serving as keyboardist for Whitesnake) for 2012's 'Portrait Of A Dying Heart' and served to revolutionise the sound and elevate SS to the next level. The second Luppi-fronted release is 'The Nature Of Time', a concept album like its predecessor, that, in the bands own words, "explores the "back to life" concept, an inward looking search of the self that can positively impact everyone's everyday life". Set over the course of four chapters ('Genesis', 'The Seven Virtues', 'The New Dawn' and 'The Way'), all movements and all individual tracks are interspersed with sound effects to accompany the story, encompassing a solitary body of music that is most rewarding when digested as a whole. Less ballad-orientated than '...Time', nevertheless 'Love', 'Kindness' and closer 'The New Beginning' are examples of their softer side, while first single 'The Calling', 'Faith' and 'Honesty' alternate magnificently between glorious AOR-style melodies and complex musicianship. Their Symphonic past is still apparent but less prominent, only really coming to the fore on 'Reliance', while the frantic but exhilarating 'Courage' is the stand-out Power Metal reference. As SS pursue a Proggier direction, it's very difficult to overlook a Dream Theater comparison during the more technical passages, and in particular with the instrumental 'Commitment' where everything from the guitar solos to the keyboard sounds scream prime DT, but SS also display enough originality to avoid accusations of plagiarism. 'The Nature Of Time' is a stunning album that sees Secret Sphere emerging as a serious challenger to the Prog scene's heavyweights, if they continue on this upward trajectory their next album could well be their 'Operation:Mindcrime' or 'Scenes From A Memory'.